What is it like to be a dentist in Gettysburg? 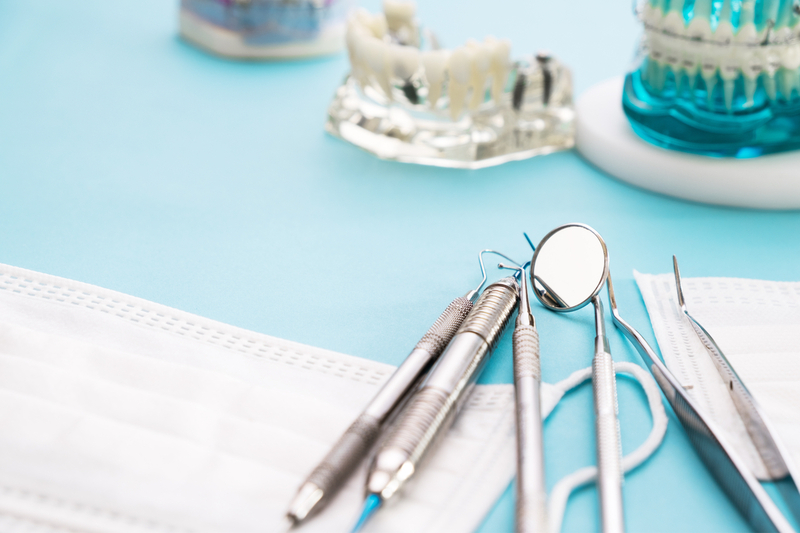 What is the typical day of a Gettysburg dentist? Well, here's what this family dentist did today. “Oh my”, I thought. The family had already set the stage for a bad experience. This was going to take all my children’s dentist chairside skills! Well, we turned it all around and Maia had a great experience. Her first cavity was bonded with white, composite filling and she bragged to her mom that she never felt anything at all! We sealed the permanent molars and spent some time showing Maia how to brush and even floss so she will, hopefully, never have another cavity in her life. Mrs. Wolfe was already in the next room. A new patient, she had called first thing this morning in pain, hoping we could work her in. Her jaw was swollen to the size of a golf ball on the lower right and she looked exhausted from lack of sleep. A quick, digital x-ray showed the culprit. An abscessed, lower right molar. I hate to blog gross, but a quick, small opening in the top of her dead tooth allowed a back pressure of pus to drain and almost instant pain relief followed. Mrs. Wolfe was a happy camper and so was I. The ability to immediately relieve pain is one of the most rewarding aspects of life as a Gettysburg dentist. Time for a course of antibiotics and a trip back in a week or so to go over some long term options. Lunch, for me, is more of a power nap time that an eat time. A time to recharge. I looked over the afternoon’s schedule. At two I would make a porcelain cap for Carmen’s upper lateral incisor. Carmen was 62. She’d broken her tooth in a bicycle accident when she was 11 and it had been down hill since. After years of patching it had finally given up the ghost and broken off at the gum-line. Luckily, dental technology had improved since Carmen’s accident. We had replaced her tooth with a titanium dental implant anchored in the jaw several months ago and today we would make the final, beautiful, all porcelain crown that goes on top. From three feet away, no one would be able to tell it wasn’t her real tooth. Three o’clock , a Cerec , in office, computer cad cam created porcelain crown and bonded, composite fillings. Four o’clock, two orthodontic patient checks. One had Fast Braces on, and it was always fun to see how much her teeth had moved since the last visit. The other, preferring no visible wires, was wearling Invisalign aligners. There is more. In between procedures I’ll be checking the progress of our periodontal therapy patients as they work with the hygiene department. Periodontal disease is one of the most widespread infectious diseases and the most common reason for tooth loss. It has been implicated in heart disease, diabetes, and even dementia. Treating and controlling gum disease is one of the most important jobs of the modern, family dentist and it is important healthcare. The day in the life of a Gettysburg dentist is sometimes hectic, sometimes stressful, often rewarding, but never boring! I honestly look forward to tomorrow.